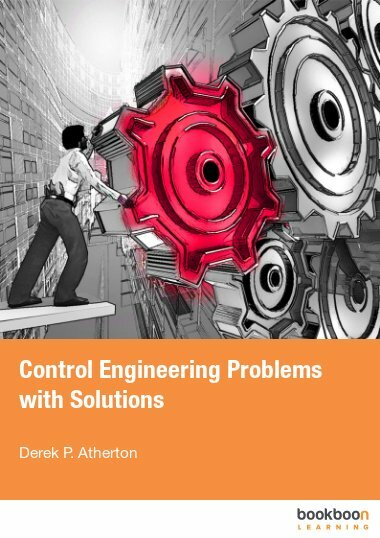 This book is addressed to students in the fields of engineering and technology as well as practicing engineers. This book is addressed to students in the fields of engineering and technology as well as practicing engineers. It covers the fundamentals of commonly used optimization methods in engineering design. These include graphical optimization, linear and nonlinear programming, numerical optimization, and discrete optimization. 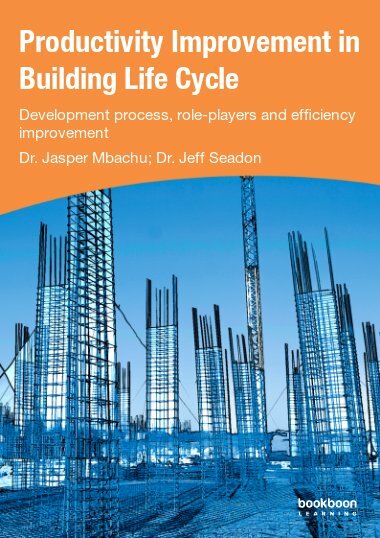 Engineering examples have been used to build an understanding of how these methods can be applied. The material is presented roughly at senior undergraduate level. Readers are expected to have familiarity with linear algebra and multivariable calculus. This book is addressed to students in fields of engineering and technology as well as practicing engineers. It covers the fundamentals of commonly used optimization methods used in engineering design. Optimization methods fall among the mathematical tools typically used to solve engineering problems. 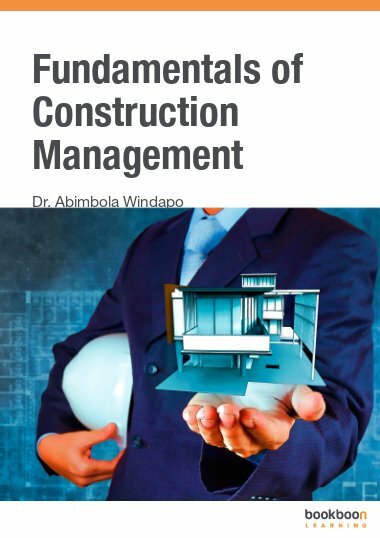 It is therefore desirable that graduating students and practicing engineers are equipped with these tools and are trained to apply them to specific problems encountered in engineering practice. Optimization is an integral part of the engineering design process. It focuses on discovering optimum solutions to a design problem through systematic consideration of alternatives, while satisfying resource and cost constraints. Many engineering problems are open-ended and complex. 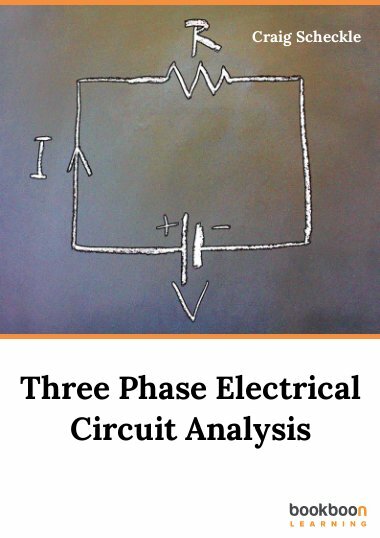 The overall design objective in these problems may be to minimize cost, to maximize profit, to streamline production, to increase process efficiency, etc. Finding an optimum solution requires a careful consideration of several alternatives that are often compared on multiple criteria. Mathematically, the engineering design optimization problem is formulated by identifying a cost function of several optimization variables whose optimal combination results in the minimal cost. The resource and other constraints are similarly translated into mathematical relations. Once the cost function and the constraints have been correctly formulated, analytical, computational, or graphical methods may be employed to find an optimum. The challenge in complex optimization problems is finding a global minimum, which may be elusive due to the complexity and nonlinearity of the problem. 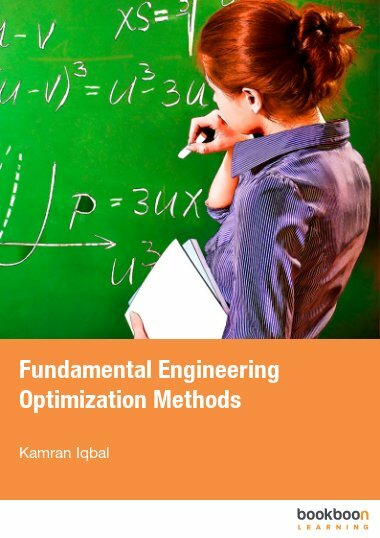 This book covers the fundamentals of optimization methods for solving engineering problems. 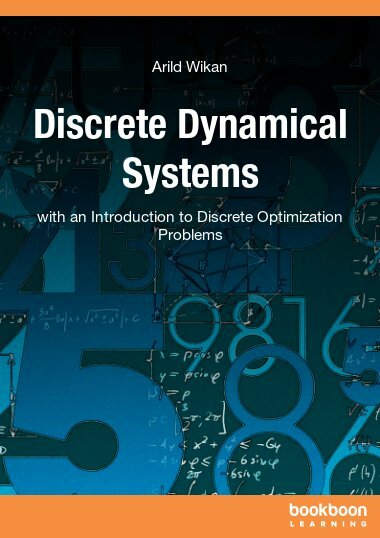 Written by an engineer, it introduces fundamentals of mathematical optimization methods in a manner that engineers can easily understand. The treatment of the topics presented here is both selective and concise. The material is presented roughly at senior undergraduate level. Readers are expected to have familiarity with linear algebra and multivariable calculus. Background material has been reviewed in Chapter 2. The methods covered in this book include a) analytical methods that are based on calculus of variations; b) graphical methods that are useful when minimizing functions involving a small number of variables; and c) iterative methods that are computer friendly, yet require a good understanding of the problem. Both linear and nonlinear methods are covered. 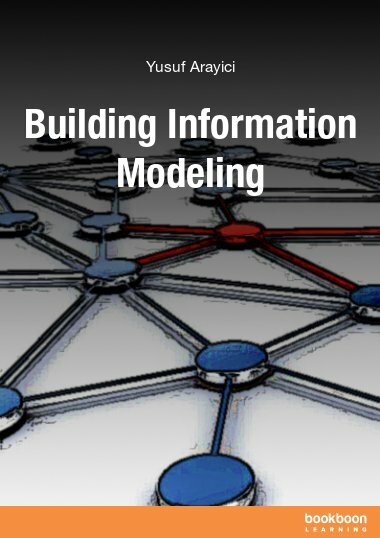 Where necessary, engineering examples have been used to build an understanding of how these methods can be applied. Though not written as text, it may be used as text if supplemented by additional reading and exercise problems from the references. There are many good references available on the topic of optimization methods. A short list of prominent books and internet resources appears in the reference section. The following references are main sources for this manuscript and the topics covered therein Arora (2012); Belegundu and Chandrupatla (2012); Chong and Zak (2013); and, Griva, Nash & Sofer (2009). In addition, lecture notes of eminent professors who have regularly taught optimization classes are available on the internet. For details, the interested reader may refer to these references or other web resources on the topic. Very specific and concise. Familiarity of some concepts is indeed needed to achieve spontaneous understanding of the concepts involved and presented.